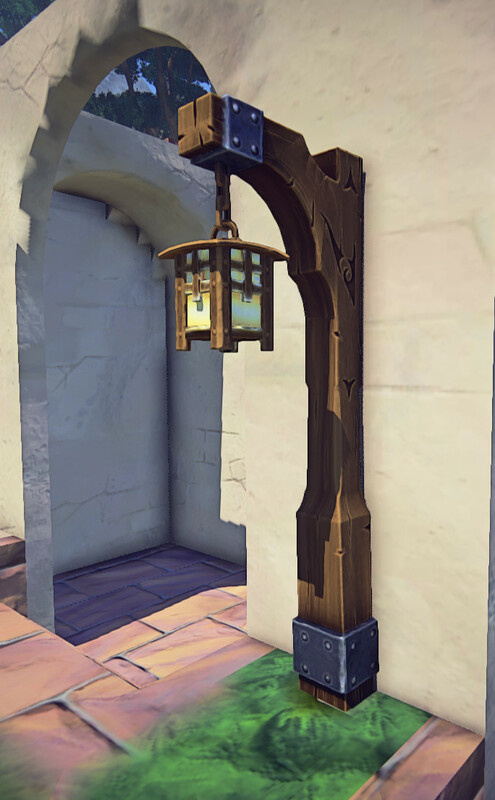 A dwarvish lamppost, too wide for it’s height, too short for it’s width. Rift calls them dimension items, Landmark calls them props, they’re the icing on the cake to a builder. 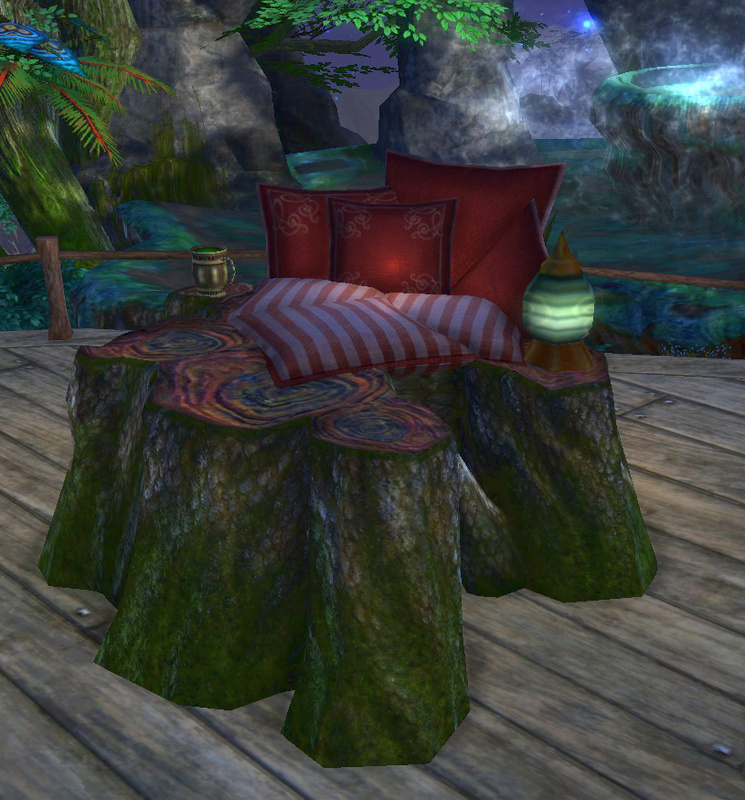 Rift relies on dimension items to bring life to player housing, though calling Rift’s dimensions ‘player housing’ denies the artistry and flexibility of the system to build scenes, stories, vehicles and anything other than houses. Landmark started with a small selection of props, that asthetics-wise, go together. To my Rift-oriented eyes, these props look sturdy, functional and without grace. I long for something more refined, more elvish. 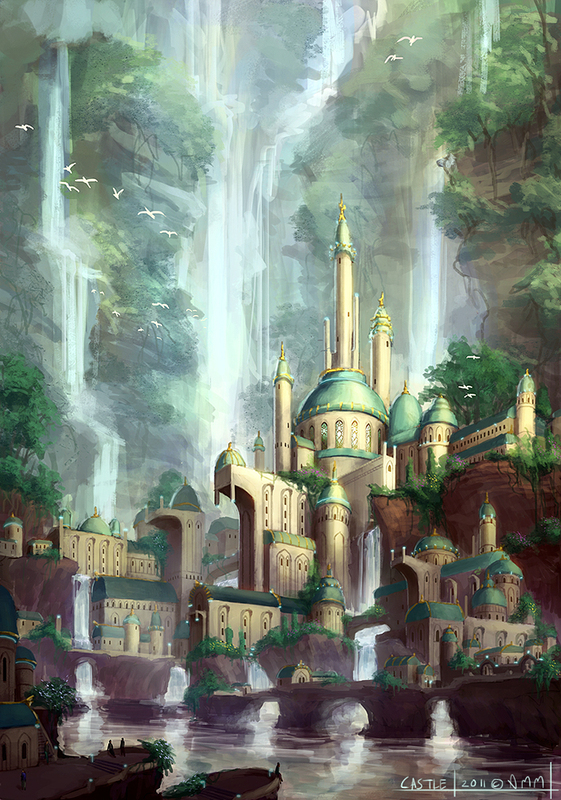 Inspiration for a Landmark build. Artist unknown. There are some crazy good builders in Landmark. Their ability to conceptualize a structure in 3-D has me stunned. Every week, SOE creates a screenshots thread for players to show off their creations. If you haven’t seen some of the very skilled creations, this thread is an excellent sampling of talent. I’ve barely started the process of learning to build in Landmark. I struggle with the tools; they seem so clumsy and foreign to me. I struggle with the unruly voxel distortion, especially when west-facing voxels behave well, but east-facing voxels distort. The voxel distortion offends my sense of symmetry. There are techniques I want to try but I lack a concept to try them on. So, under the philosophy that the best way to learn things is to play with them, I’ve set myself the goal of constructing the lead picture for this article. I love the tiered and layered look for this town and I’d love to achieve this look on a build. I’ve got my three claims all set up in a L shape and about two weeks till the next wipe. Let’s see how I do. This little Radish was kinda lucky with the neck dream orb. At least it’s intelligence. Were you surprised by the price of the dreamweaving dimension items on the auction house? The small lights were going as cheap as 99 silver and fancy, red cushions for 3 gold. That is way below the price of the materials used to make them. (I’ve bought a lot of these items up for future use or resale for profit, once the first wave of dreamweaving levellers have finished.) The market overload isn’t driven by dimensioneers but by players looking to maximise their gear for experts and raids or crafters looking to maximise their profit. Dream orbs are the one sour note in patch 2.6. I feel for the endgamers looking to maximise their stats with the random stat generation offered by dream orbs. The pressure on raiders to perfect their gear can be seriously high. Any raider who’s indulged in the sport at a competitive level knows that having the best stats can mean another rung up on the shard placements or a world or shard first. 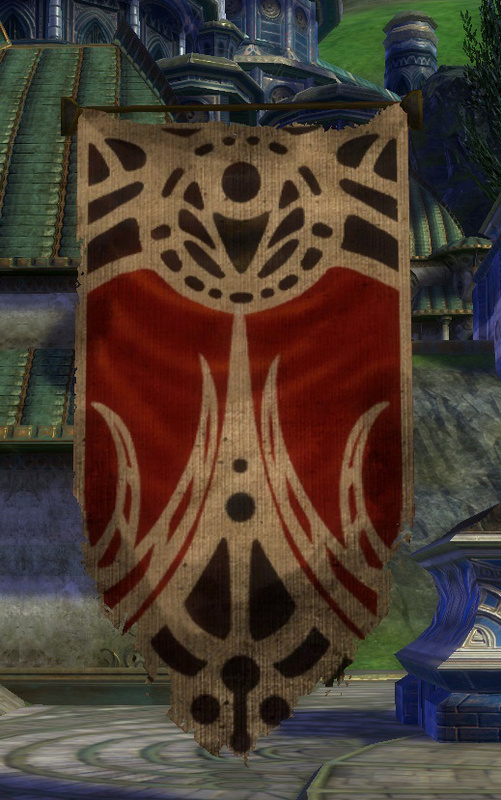 It can mean the difference between raiding with a top notch guild and second best.